Completed in 1889 for the Paris World's Fair, the Eiffel Tower was meant to project an image of French engineering know-how and design sophistication. Over the last century, the tower has become more of a cultural icon — with its intricate metal latticework an example of a bygone aesthetic — than an example of France being on the technological cutting edge. Now, the 1,000-foot-tall structure is getting a modern update. 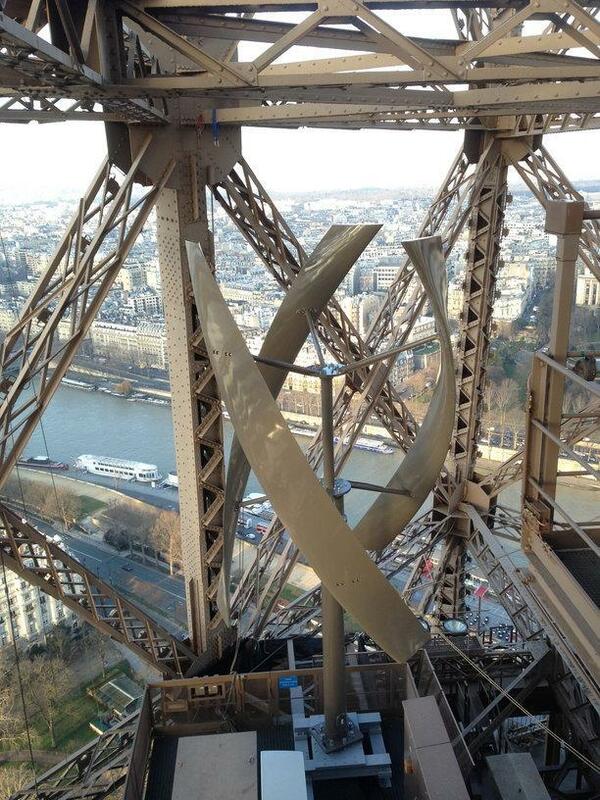 As a result of a partnership between the Société d'Exploitation de la Tour Eiffel, which operates the monument, and New York City-based Urban Green Energy (UGE), two wind turbines have been installed within the tower's structure, which will supply enough electricity to power its first floor visitor center. The newly installed turbines were painted to match the tower's distinct, bronze color, and designed to blend in with its architectural elements. The blades are virtually silent and can harness the wind from any direction. "The Eiffel Tower is arguably the most renowned architectural icon in the world, and we are proud that our advanced technology was chosen as the Tower commits to a more sustainable future," said Nick Blitterswyk, CEO of UGE. "When visitors from around the world see the wind turbines, we get one step closer to a world powered by clean and reliable renewable energy." 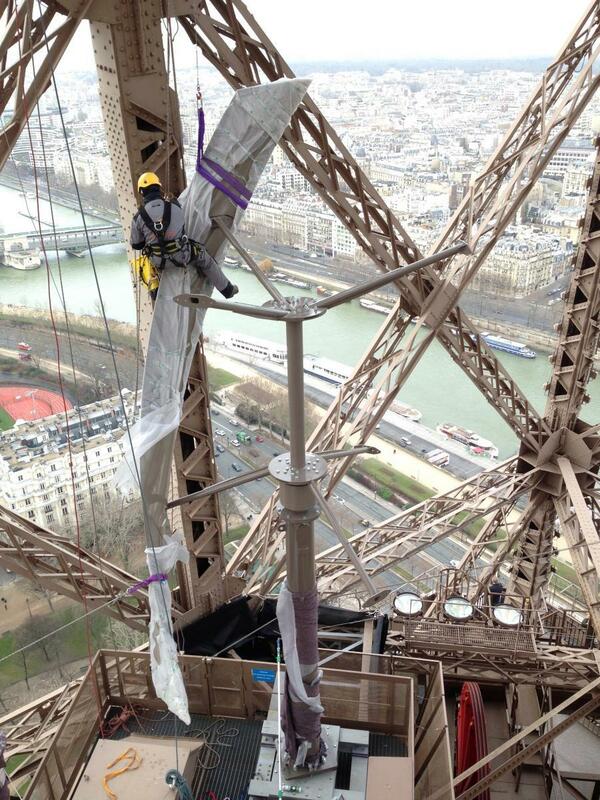 The changes are the first major structural upgrade made to the Eiffel Tower in 30 years, and are part of a clean energy and efficiency initiative aimed at cutting the tower's ecological footprint. Additionally, roof-top solar panels will provide approximately 50 percent of the water heating needs for two visitor pavilions, and a rainwater recovery system will provide water to bathroom facilities.